There can be no reasonable doubt that soda companies corrupted hydration science. 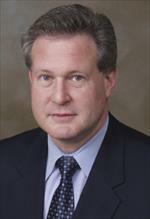 Even the American College of Sports Medicine’s president has admitted that Gatorade funding distorts scientific objectivity. And make no mistake, corrupted hydration guidelines have caused deaths. But more work lies ahead. 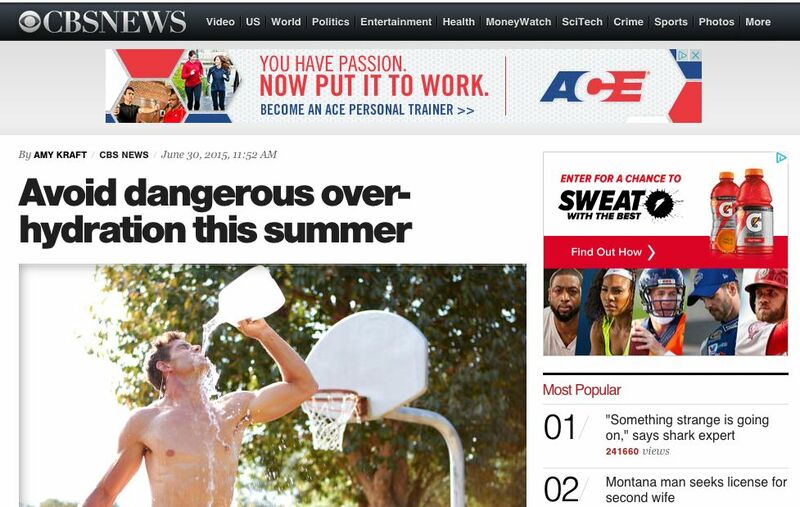 Despite admitting there’s no evidence that dehydration causes heat illnesses, Gatorade is continuing its myth-based “Beat the Heat” campaign. And the same Soda corruption CrossFit identified and is correcting in hydration can be found throughout American health and fitness. Now the conflict between CrossFit’s 12,000 affiliates and Big Soda is playing out in politics. Big Soda continues to sponsor the same organizations lobbying to turn CrossFit affiliate owners into criminals. As strange as it may seem, an industry whose products are estimated to kill 184,000 people every year has a powerful influence on American health science. 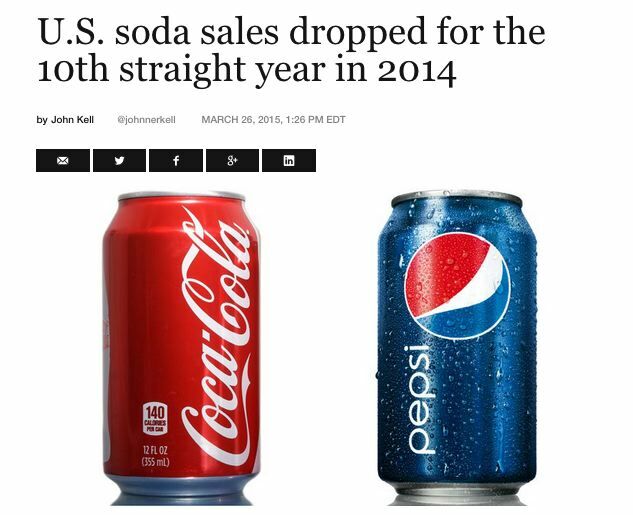 Sales of carbonated soft drinks slid for the tenth straight year in 2014 … The soda industry has struggled as consumers increasingly turn to juices, flavored waters, and other beverage options they deem healthier. And the American consumer’s disgust with unhealthy food harms more than just soda. The decade-long decline in American soda consumption exactly coincided with a decade-long decline in breakfast cereal consumption. Other food makers, such as Kellogg Co. and H.J. Heinz Co., also have been scaling back production, closing factories and cutting corporate overhead as they grapple with U.S. consumers trading their shelf-stable and frozen groceries for fresher food. 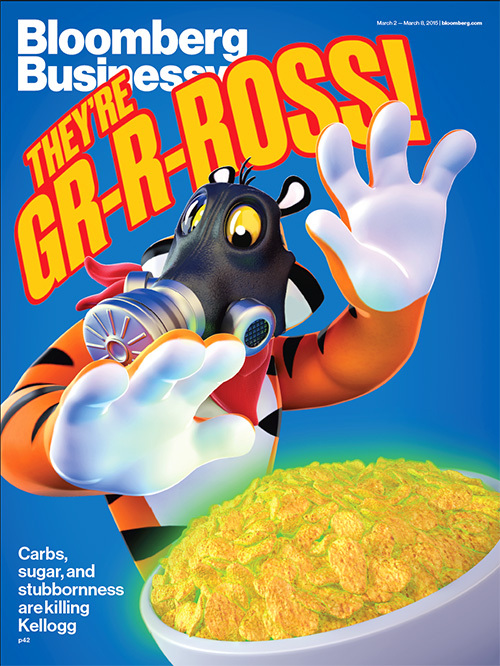 Cereal sales have long been subject to dips brought on by food fads like the Atkins diet or bagel mania. And many cereals are neither gluten-free nor protein-rich, so they fail to resonate with the growing number of consumers who are gluten-intolerant or adherents of the so-called paleo diet. How is the food industry coping? Continuing a generation-old, failing policy, they are trying to co-opt consumers’ interest in health by sponsoring ostensibly health and fitness-focused organizations such as the ACSM and the National Strength and Conditioning Association (NSCA). PepsiCo has reclassified its portfolio into three different product categories: “Fun for you,” which includes traditional sodas and snacks; “better for you,” typically offering low-calorie versions of its products; and “good for you,” which targets health-conscious consumers with brands such as Gatorade, Quaker, Tropicana, Aquafina, and Naked Juice, among several others. Do you trust Big Tobacco or Big Soda’s Science? 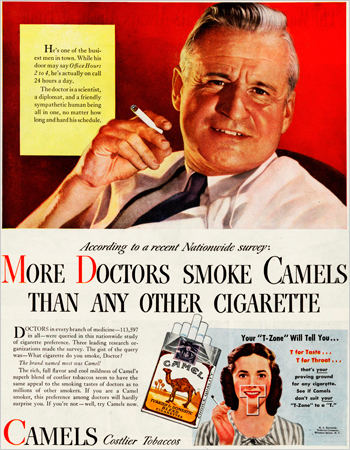 If Big Tobacco’s sponsored scientists denied that tobacco caused cancer, would you believe them? We wouldn’t. And the same skepticism should apply to Big Soda’s sponsored scientists. Is Coca-Cola’s sponsorship of the ACSM any different from the prospect of Camel Cigarettes sponsoring the American Lung Association? Ask Big Soda’s scientists and the answer is usually “no.” Is this disagreement an accident? Consider the following graph from Fooducate, based on this study. But what if you remove the confounding factor of obesity? 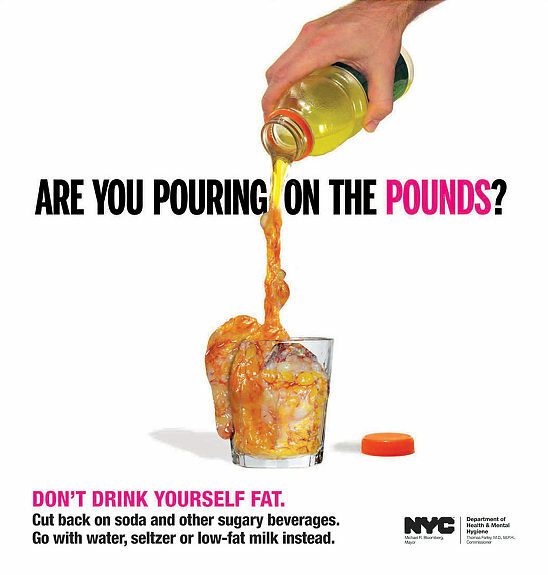 In other words, if you drink soda but don’t get fat, do you still put your health at risk? The best statistical evidence available shows a strong link between sugar and diabetes, entirely independent of obesity. Epidemiology cannot directly prove causation … But in medicine, we rely on the postulates of Sir Austin Bradford Hill to examine associations to infer causation, as we did with smoking. You expose the subject to an agent, you get a disease; you take the agent away, the disease gets better; you re-expose and the disease gets worse again. This study satisfies those criteria, and places sugar front and center. Yet again, Big Soda’s sponsored organizations seem to disagree. For example, the American Diabetes Association (ADA) is funded by Coca-Cola. When CrossFit Inc. made an Instagram post that linked Coca-Cola to diabetes, one diabetes “advocate” defended Coca-Cola by tweeting this ADA graphic. So the ADA essentially calls Dr. Lustig’s statistical conclusion a “myth.” The ADA claims that sugar doesn’t cause type-2 diabetes; instead they claim that “genetics and lifestyle factors” cause type-2 diabetes. The ADA claims lifestyle factors, not “too much sugar,” cause diabetes. But isn’t sugar consumption a “lifestyle factor?” So is the ADA actually disputing Dr. Lustig’s conclusion, or is it merely adding confusing language to it? When you go beyond the infographic and read the ADA’s guidelines more closely, they do admit that cutting back on sugar helps to both prevent and deal with Type-2 Diabetes. In one bullet point, the ADA even recommends “buying less soda” to prevent diabetes. Does the ADA’s confusing position have anything to do with its Coca-Cola funding? Would Coca-Cola still fund the ADA if it made advertisements linking soda to diabetes? One of the most pernicious ways to mislead the public is to claim that a product solves the problem that it actually causes. For example, let’s look at the question: Do sports drinks replenish electrolytes, or deplete electrolyte levels? In plain English, sports drinks such as Gatorade contain so much water and so few electrolytes that they actually lower electrolyte concentration levels. And if athletes drink a lot of Gatorade or Powerade, they will lower their electrolyte concentration to dangerous, potentially fatal levels. Scientists agree that sports drinks can cause hyponatremia. So why do Coca-Cola and its sponsored organization, the American Academy of Pediatrics (AAP), claim the opposite of what the science indicates? Strangely this states that sports drinks both encourage fluid consumption and prevent hyponatremia. The scientifically valid way to prevent hyponatremia is to limit fluid consumption. So how do sports drinks prevent hyponatremia while encouraging fluid consumption? Independent scientists say that sports drinks cause hyponatremia; Coca-Cola and the American Academy of Pediatrics say sports drinks prevent hyponatremia. Only one side’s position is based on empirical evidence. Speaking of lacking evidence, Big Soda’s sponsored organizations have attempted to discredit the few health movements that take strong stands against sugar. You probably know that Drs. Steven Devor and Michael Smith fabricated injury data. But it may not be immediately obvious how the Devor fraud relates to food. 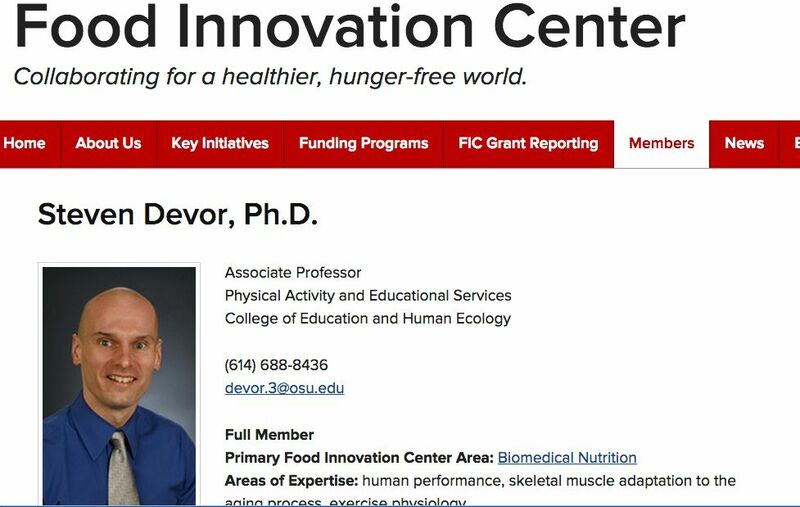 Not only is Dr. Devor a fellow of Coca-Cola and PepsiCo’s sponsored organization, the ACSM, but he works in the “Food Innovation Lab” at Ohio State. And the organization that knowingly published Devor’s fraudulent study, the NSCA, receives funding from PepsiCo. After Drs. 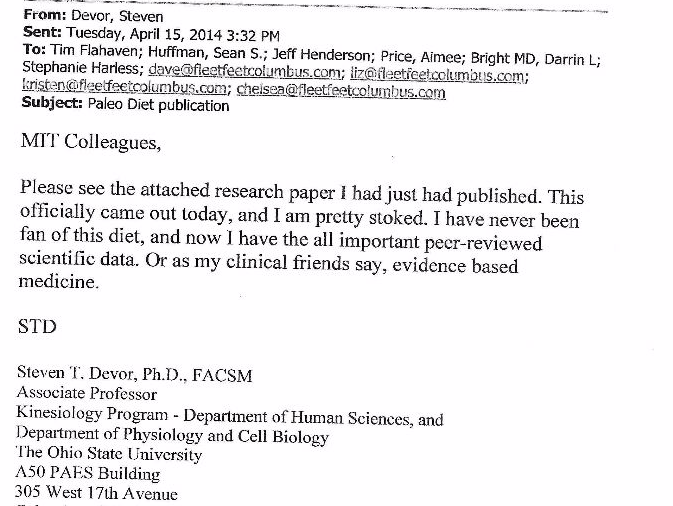 Devor and Smith published their fraudulent CrossFit study, they published another fraudulent study on the Paleo diet. Devor and Smith’s Paleo fraud contained multiple false claims, but the core of the problem is that they ascribed the subjects’ results to a diet they did not follow. Devor and Smith claim the subjects’ blood lipids worsened due to the Paleo diet, but the subjects didn’t follow the Paleo diet. To make matters worse, when we reported Devor’s Paleo fraud to the scientific journal that published it, the journal refused to retract or even correct the study. Can Soda and Science Coexist? Ethically addressing fraud may be too much to ask for an American health-science industry that is funded by PepsiCo and Coca-Cola. 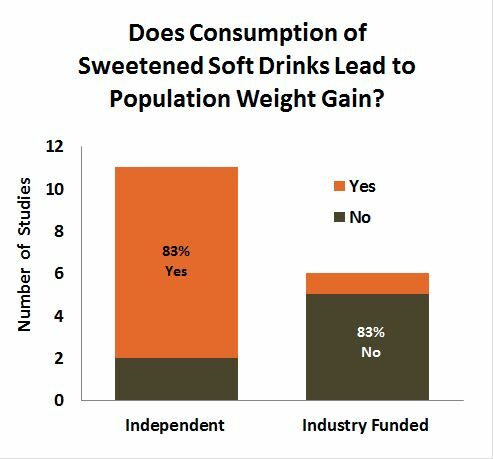 But is there any way to keep Big Soda’s influence in American health science while still getting accurate health science? It appears not. In Part 2 we will look at how some honest scientists are successfully resisting Big Soda’s corruption of health organizations. ← Gatorade, Sobre Hidratación, y Muerte. Just finished reading “Salt Sugar Fat: How the Food Giants Hooked Us” my Michael Moss, all about Big Food. Suggest picking it up to learn more on this topic.